Overwatch Origins Gamepack by The_Rabid_Taco. 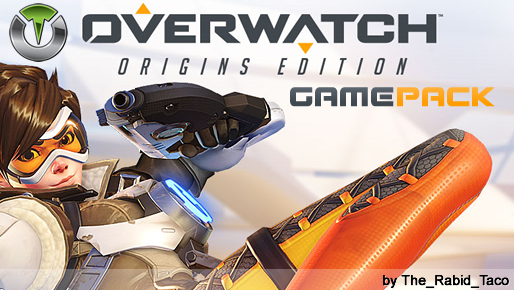 Titan One Exclusive Feature: Overwatch Origins Gamepack by The_Rabid_Taco. 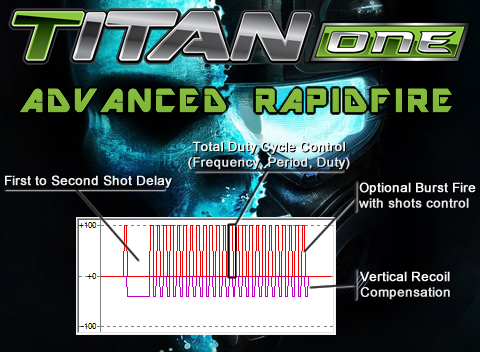 The new and exclusive Advanced Rapidfire MOD features an unprecedented control of the parameters and physics inherent to the weapons models of modern shooters. 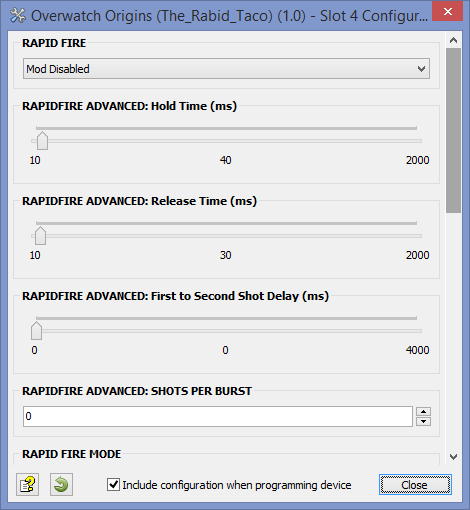 The new and exclusive Advanced Rapidfire MOD features an unprecedented control of the parameters and physics inherent to the weapons models of shooter games, such: Rapidfire frequency, period and duty; First to second shot delay; Bustfire and Vertical recoil compensation. Automatically press the melee button just by holding down melee button. The Overwatch Origins applies a "dead-zone" in the trigger buttons, which means the trigger (both for shoot or ADS) should be pressed almost half way down to be registered by the game. With Hair-Trigger MOD you can ensure your weapon will fire or ADS as soon you touch the correspondent trigger. Select the same button you have chosen in the game configurations for shoot. Select the same button you have chosen in the game configurations for secondary shoot. Select the same button you have chosen in the game configurations for reload. Select the same button you have chosen in the game configurations for melee.